ONLF is aware that a Chinese group and the Ethiopian regime are attempting to start exploiting Oil and Gas Resources in Ogaden at Jeexdin Gas fields, without the consent of the Ogaden people. Since the Ethiopian Army does not exercise full control of the Ogaden and ONLF is determined and can defend the Ogaden people’s resources and land, depending on the protection of the Ethiopian army is at best courting trouble. As Alexander Pope wrote long ago, “Fools rush in where angels fear to tread”. 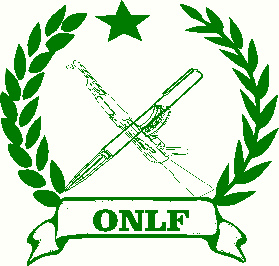 Ogaden National Liberation Army (ONLA) has recently conducted several commando operations successfully in and around Jeexdin (Calub) camp, between 1st and 10th of October 2014, destroying two warehouses and burned 6 Urals, killing scores of the Ethiopian regime’s soldiers and wounding others. ONLF position is categorically clear. It will not allow oil exploration in Ogaden until a political settlement of the cause in Ogaden is reached. Any attempt to come through the Ethiopian regime’s backdoor will be foiled. ONLF is not against multi-nationals as such but what is going on in Ogaden is genocide and those who give support and money to Woyane regime in Ethiopia are participating directly or indirectly in the pogrom in Ogaden. If Oil companies want to exploit Ogaden Oil let them foster a peace process that gives the Ogaden people their rights. After Obole, more than 100,000 Somalis from Ogaden were forced to flee into Kenyan refugee camps or were internally displaced to towns in Ogaden, where they are destitute. Furthermore, more than 50,000 are in detention and tens of thousands were either killed or disappeared. The Ethiopian regime’s Army and Janjeweet-like local armed militia conducted these human rights violations and were funded by money obtained from China and others. In light of that, it is very naive and foolhardy for the Chinese or any other company to come to the Ogaden and expect to extract oil peacefully, while the people of the Ogaden are mourning their deaths and are under ruthless embargo on trade and aid. The Ogaden is a known war zone and any entity that gets associated with the TPLF regime’s Army is considered part of the conflict.